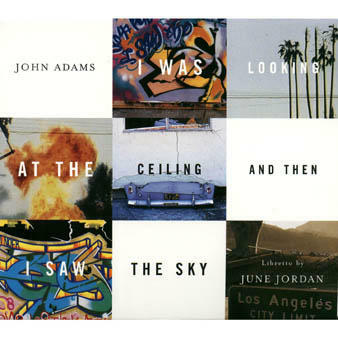 Combining a score by leading contemporary composer John Adams with a libretto by the late poet June Jordan, the opera I was looking at the ceiling and then I saw the sky was written as an homage to the 1994 Northridge earthquake. An earthquake romance… A genre-defying musical piece — the work is a Los Angeles County Arts Commission and Long Beach Opera’s artistic director Andreas Mitisek is set to conduct the concert staging at the Ford. The show is part of the Ford’s Zev Yaroslavsky Signature Series. The LBO cast at the Ford will include Cedric Berry as Dewain, a reformed gang leader; Bernard Holcomb as David, a Baptist minister; Zeffin Quinn Hollis as Mike, a cop who is also a community activist; Andrew Nguyen as Rick, a Vietnamese-American Legal Aid defense attorney; Lindsay Patterson as Leila, an African-American graduate student working as a family planning counselor in an abortion clinic; Zipporah Peddle as Tiffany, a TV crime-as-news reporter; and Holly Sedillos as Consuela, an undocumented immigrant mother of two from El Salvador. 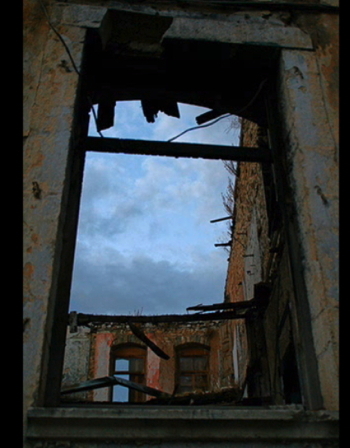 Ceiling/Sky premiered in Berkeley, CA in 1995, then went on to tour extensively throughout the world. It was seen in Montreal, New York, Helsinki, Paris, Hamburg and Edinburgh — but never in Los Angeles where the action is set. The first cast recording was released on Nonesuch Records in 1998 and featured performances by Audra McDonald, Marin Mazzie and Darius De Haas. Composer, conductor and creative thinker, John Adams occupies a unique position in the world of American music. His works, both operatic and symphonic, stand out among contemporary classical compositions for their depth of expression, brilliance of sound and the profoundly humanist nature of their themes. Adams’ music has played a decisive role in turning the tide of contemporary musical aesthetics away from academic modernism and toward a more expansive, expressive language. Born in Harlem, New York, June Jordan (1936 – 2002) was a poet, activist, journalist, essayist and teacher. Prolific and passionate, she was an influential voice who lived and wrote on the frontlines of American poetry, international political vision and human moral witness. The author of many award-winning books, she traveled widely to read her poems and to proclaim a vision of liberation for all people. Dynamic, rebellious and courageous, June Jordan was a lyrical catalyst for change. Long Beach Opera, well known for its world, American and West Coast premieres of new and rare operas, is dedicated to the advancement of the frontiers of opera, in repertoire and in production style. LBO’s artistic vision is to present unconventional works — repertoire which is neglected by other, more mainstream opera companies, ranging from the very beginnings of opera to modern and avant-garde works, emphasizing their theatrical and musical relevance to our time. By performing in a variety of local theaters and alternative spaces, LBO highlights opera’s power to move hearts and minds in the most unexpected ways. 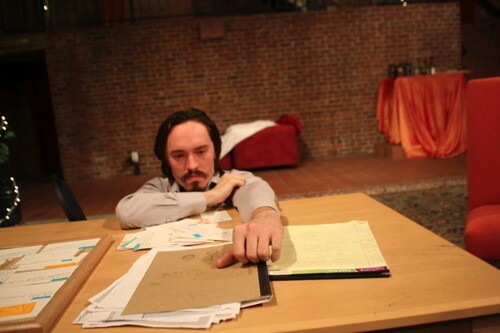 The company has received praise from the Wall Street Journal (“Highly innovative”), New York Times (“Daring”), Opera Now, London (“Beloved wildcard of a West Coast opera company”), Los Angeles Times (“LBO deserves a medal for its unequalled history of operatic innovation in America”) and LA Weekly (“opera at its most imaginative”). This summer marks the Zev Yaroslavsky Signature Series’ second season celebrating Los Angeles as a destination for world-class artists who find here both collaboration with, and inspiration from, celebrated local artists. 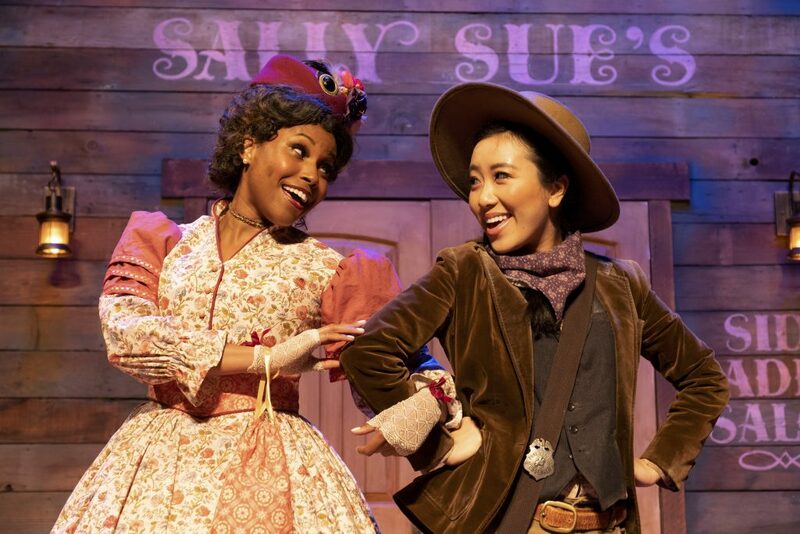 The series is presented by the Los Angeles County Arts Commission with support provided by Los Angeles County Supervisor Zev Yaroslavsky, and all proceeds benefit the Ford Theatre Foundation. At 1,200 seats, the Ford Theatres creates an intimate concert experience that is a favorite among Angelenos. Each summer, the Ford hosts a diverse roster of events representing music and dance styles reflective of the communities that comprise Los Angeles County. Ford summer season events are presented in partnership with Los Angeles County arts organizations and producers. Unlike a traditional presenting model, these organizations apply to be part of the season and receive significant marketing, box office and house management support while keeping the majority of box office proceeds. Located in a County regional park in the Hollywood Hills, the Ford is owned and operated by the County of Los Angeles and operated through a three-way partnership between the Los Angeles County Arts Commission, the Department of Parks and Recreation and the Ford Theatre Foundation. The Los Angeles County Arts Commission fosters excellence, diversity, vitality, understanding and accessibility of the arts in Los Angeles County. The Arts Commission provides leadership in cultural services for the County, encompassing 88 municipalities, including funding and job opportunities, professional development and general resources. For more information, visit their official site here. The Ford Theatres’ 2014 summer amphitheatre season is a program of the Los Angeles County Arts Commission with core support provided by the Los Angeles County Board of Supervisors. Additional supporters include the Angell Foundation; The Boeing Employees Community Fund; City National Bank; Department of Cultural Affairs, City of Los Angeles; Discover Hollywood; The Ella Fitzgerald Charitable Foundation; The James Irvine Foundation; KCRW 89.9 FM; Tom LaBonge, City of Los Angeles Fourth District; LA18; L.A. Parent; LA Weekly; Macy’s; National Endowment for the Arts; NBC Universal; The Ralph M. Parsons Foundation; SONY Pictures Entertainment; Southern California Edison; Wells Fargo; Supervisor Zev Yaroslavsky; and Yelp.com. The Ford Theatres are located at 2580 Cahuenga Blvd. East, Hollywood, CA 90068, just off the 101 Hollywood Freeway, between Hollywood Blvd. and Barham Blvd. in the Cahuenga Pass. On site, stacked parking costs $5.00 per vehicle. FREE nonstacked parking serviced by a FREE shuttle to the Ford is available at the Universal City/Studio City Metro Station lot at Lankershim Blvd. and Campo de Cahuenga. The shuttle, which cycles every 15-20 minutes, stops in the “kiss and ride” area. The grounds open two hours before showtime for picnicking. The Ford offers a number of dining options: a variety of food and beverages is available on site and box dinners for evening events may be ordered in advance. Patrons are welcome to bring their own food and drink. The Ford is disabled accessible. Portable wireless listening devices are available upon request. Saturday Aug. 23, 2014 at 8 p.m.
Tickets are $100, $80 and $60 (reserved seating), with a VIP package available for $125 that includes premium seating, a choice of wine or beer, and on site parking. For more information and to purchase tickets go to the official site here or call (323) 461-3673 (323 GO 1-FORD).